the old version of OneDrive for Business, named SharePoint Workplace. Home >> New >> SharePoint workspace. type the url for a custom list or tracking list . and they can sync, created & edit custom list items using the SP workspace. 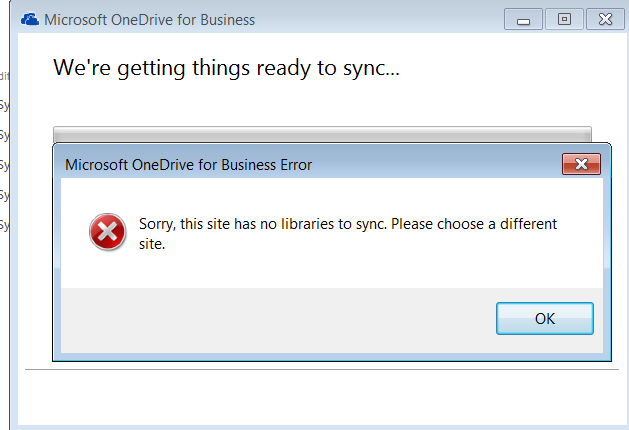 why SP workspace allow to sync non-document library lists, while OneDrvie will only allow syncing document libraries? why the SYNC icon will only appear in the SP UI, if the users are inside a document library? now seems creating items for custom lists or tracking lists using the SP workspace, can cause problem as the interface is totally different from the UI inside the create & edit aspx list forms.. so is it a normal behavior to set the "Offline Client Availability" option inside the lists to No for non-document library lists.. to avoid any problems?? The functionality of synchronizing lists is not available in ODfB. SharePoint Workspace is a legacy product with no support for modern versions of SharePoint; only Doc Libs can be synchronized by ODfB. Everything you're seeing is by design. Microsoft has been trying for years to merge their different sync tools, both in consumer and professional worlds, with limited success so far. This probably explains why they focus on syncing files. Back to your question: there is no more Out Of The Box way to synchronize offline a SharePoint list. You can still sync a SharePoint list to... Excel with third-party software such as SharePoint List Synchronizer. It lets your users sync bi-directionnaly a SharePoint (online or on premises) list with an Excel file. Disclaimer: this product is edited by SoftFluent, my employer. Not the answer you're looking for? Browse other questions tagged onedrive-for-business sync onedrive workspace sharepoint-workspace or ask your own question.